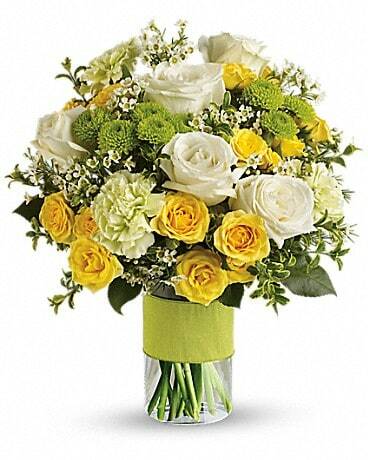 You could call or email that special someone, but why not put your feelings into flowers? 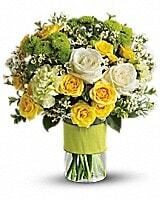 She'll love this elegant array of white and yellow roses and other favorites in a stylish cylinder vase. She'll want to thank you in person. 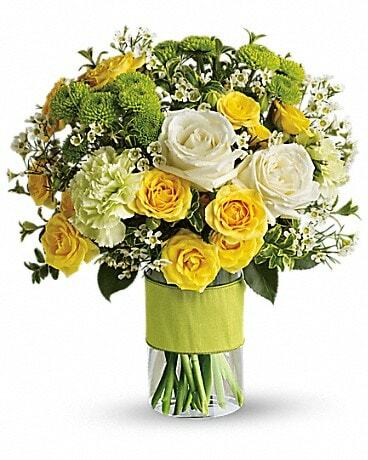 Warm her heart with the season's sunniest flowers - yellow spray roses, white roses and other favorites artistically arranged in a sparkling glass cylinder vase. If it looks this cheerful in a picture, imagine the impact of the real thing. Love will bloom! There are flowers, and then there are FLOWERS! 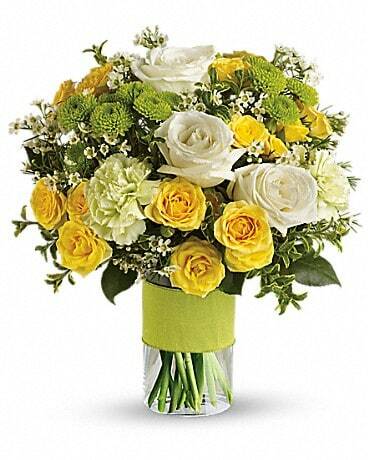 This spectacular bouquet is the latter, bursting with sunny blooms - yellow and white roses, green mums and more. 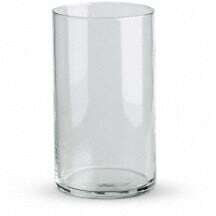 Hard to believe that one vase could hold so much beauty. Share it with someone special.